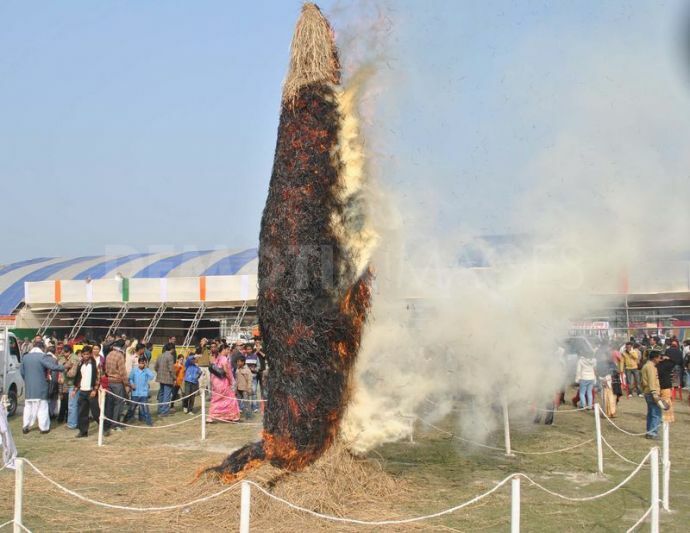 Bhogali Bihu, native to Assam, marks the end of the harvesting season. In modern times and big cities where agriculture means the life and world in our kitchen garden, it is significantly defined as the biggest feast or Bhog season. I, myself, with no one to judge, shamelessly gobble through the festival like the hungry caterpillar. 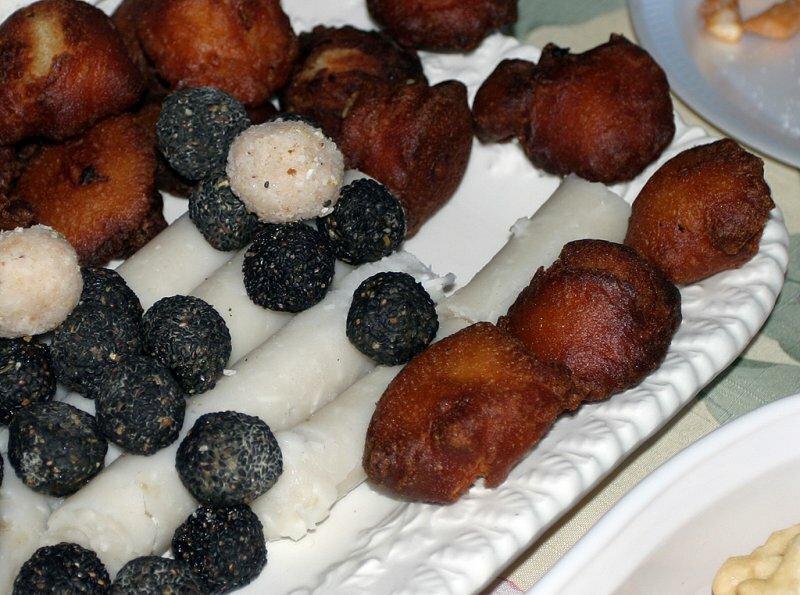 The last time I was home for Bihu, I was amazed by the plentiful presence of food carnivals. They endorsed celebration delicacies made by women (sometimes men) from villages from all over Assam. Most times, these fares are such rob-offs, as if knowing well the effect of global warmed winters that make browsing through varieties of sweets easier than making them at home. 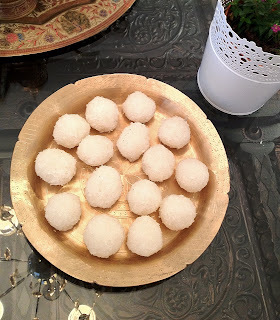 In this modern twist of celebration, there are still those who prefer to have their laroos (sweets made of coconut) and pithas (sweets made of grounded rice,sesame or coconut and jaggery) and other bihu sweetmeats made in their own kitchens. As a child, my favourite part of Magh Bihu was Uruka. I still wonder how the tall Meji, made of just straws and fire wood, managed to stand,with no firm support, on the damn ground .I miss those innocent Uruka nights,feasting and singing round the tall straw man with my cousins.That whole sacred ritual of bathing first thing the next very cold Bihu morning, burning the meji and feeding it with rice grains and betel nuts, always gave me a good sense of revival for the New Year. 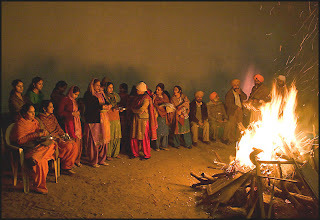 Lohri, eve of Punjab's Makar Sankrati, has similar meji rituals.The Fire God is worshiped during this festival. Bonfires are lit in the evenings and families and communities make merry round them. Puffed rice, popcorn, sesame seed are ceremoniously thrown into the fire. They sing and dance till the fire dies out. The occasion can’t do without Makki Di Roti (corn bread) and Sarson Da Saag (grounded mustard leaves). Til (sesame) and jaggery are also essential food items.Too bad, lassi doesn’t go well with the cold season. Vibrant colors, get-togethers, indigenous food culture and good old bhangra make Lohri one annual bash all Punjabis look forward to. Southern India celebrates the harvest season as Pongal. It is observed with much zest and enthusiasm as the indigenous New Year. On this occasion people religiously clean their homes and decorate them with kolam (rangoli). 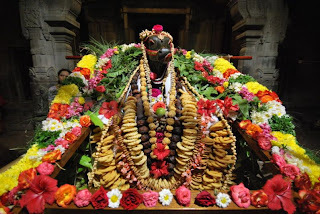 The cattle is worshiped during the festival and fed with a rice and jaggery dish, Pongal. 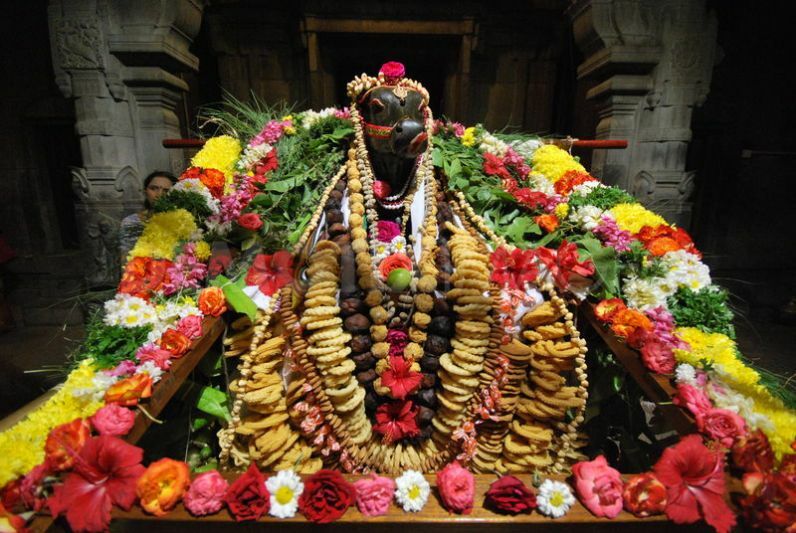 This symbolizes thanksgiving and the dish is dedicated to Lord Surya. In western India, Makar Sankranti marks the end of winter is celebrated with flying kites and kite flying competitions. Interestingly, the Marathis who observe the festival wear black as the black sesame is believed to be an auspicious ingredient of the season. Tilgul, a simple sweetmeat made of sesame and jaggery is prepared and exchanged on the occasion. Festivals from different regions - and one could wonder how they could be so similar. 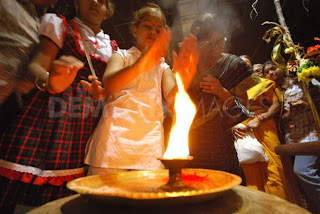 The fire is common to most, the sesame and jaggery are essential ingredients in all the cebrations. These little flavours in our festivals make us unique as communities and unite us as a country.